Why We Love January Skiing! 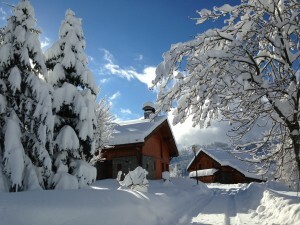 Thinking about booking a January ski break? Fantastic idea! In our opinion, January is one of the best times of the year to hit the slopes. While January at home involves little other than dark, rainy days, the wind-down after all the Christmas excitement, health kicks, ‘dry January’ (yawn) etc etc. – this time of year in a ski resort is quite the contrast. Book a week in the mountains and enjoy empty pistes, crisp mornings, bluebird days and fantastic snow conditions, topped off with our unique F&P treatment and fabulous food of course .. and all at lower prices. Perfection. It snowed hard in Meribel and Val d’Isere last year during the January and February months, with some fantastic sunny days in between. After an unusually warm Christmas we saw some of the best conditions we had seen in years. What could possibly make this any better? How about some free ski passes thrown in! Book Chalet Santons Solaise (Catered, Sleeps 6, Val d’Isere) or Chalet Corblettes (Catered, Sleeps 8, Meribel Village) on either the 7th or 14th January, and receive a 6 day Meribel or Val d’Isere lift pass for EACH GROUP MEMBER. This is a mega saving for your group. Both chalets are old favourites and located within moments of the piste – please click below for further chalet information. Chalet Santons Solaise further details. What’s not to like? Hurry and book your January escape ASAP – this is a deal which should not be missed! Book early and there are huge savings to be made on all those little extras. We have teamed up with our recommended and trusty suppliers to bring you further offers on equipment hire, child care, ski lessons and airport transfers. Please see theHoliday Extras Offers page or further info. This offer applies only to whole chalet bookings, on either the 7th or 14th January in either Chalet Santons Solaise or Chalet Corblettes. This offer applies only to bookings made during the month of September 2016.